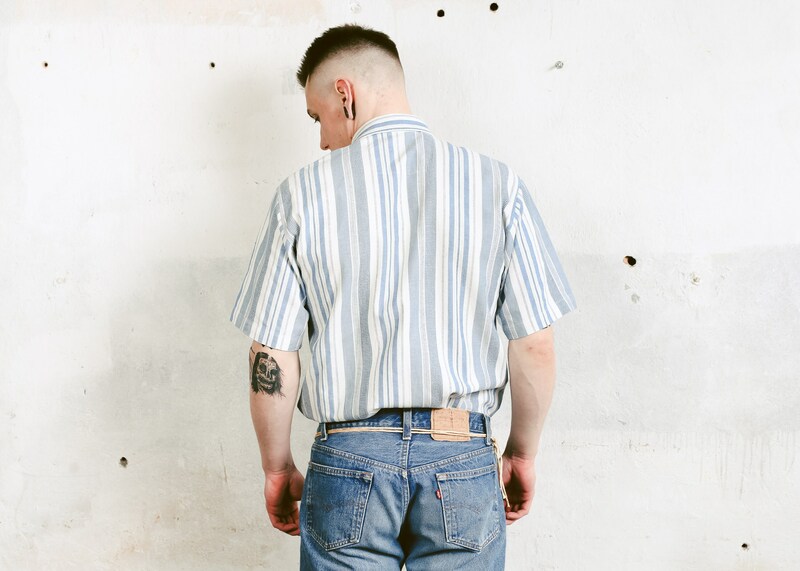 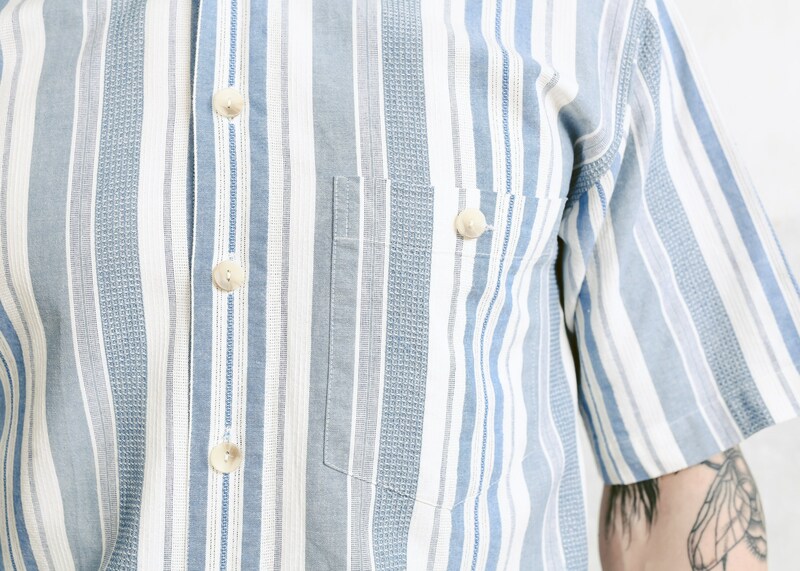 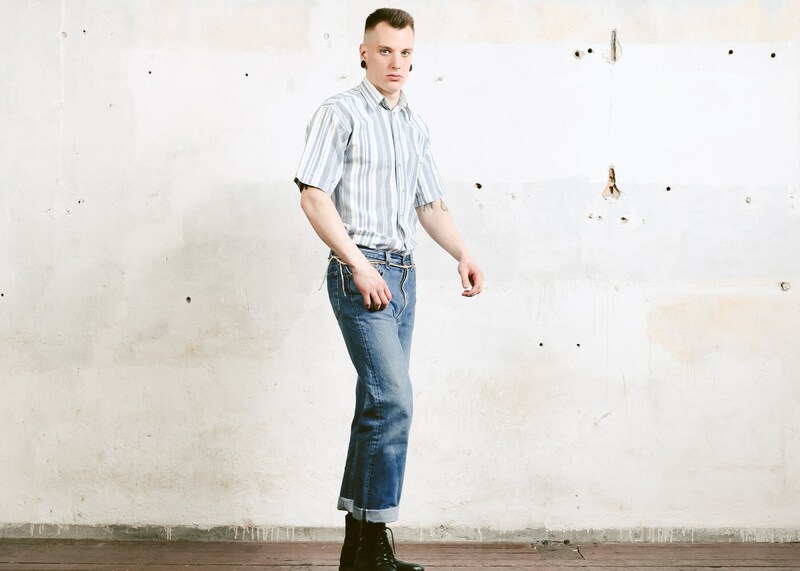 You are looking at a great, excellent quality vintage 1990s striped cotton shirt in blue and white. 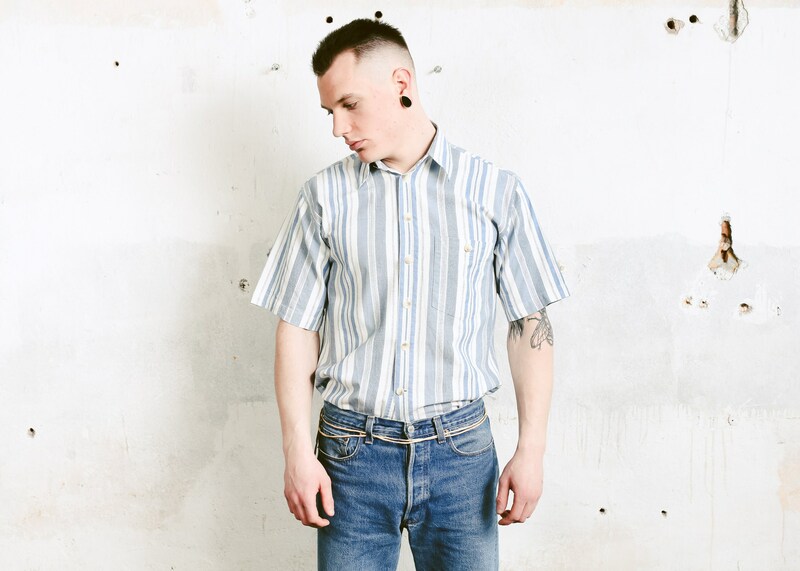 Perfect piece for masculine everyday wear! 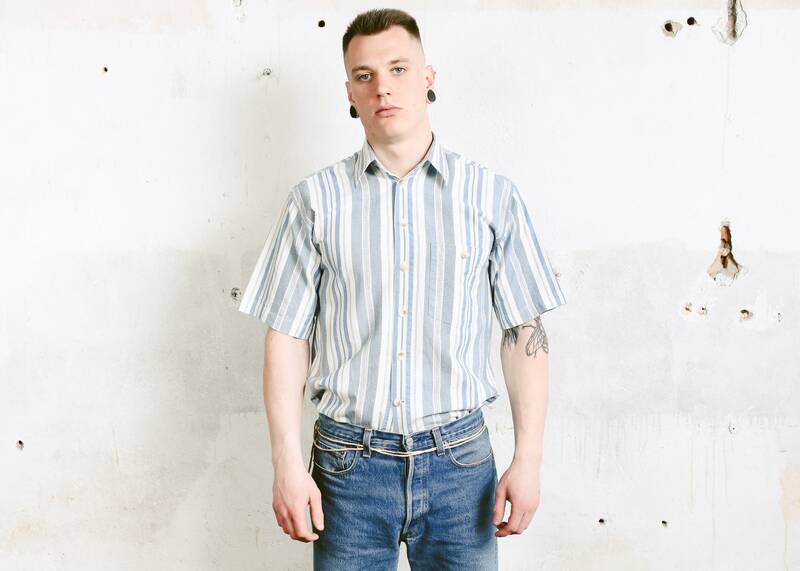 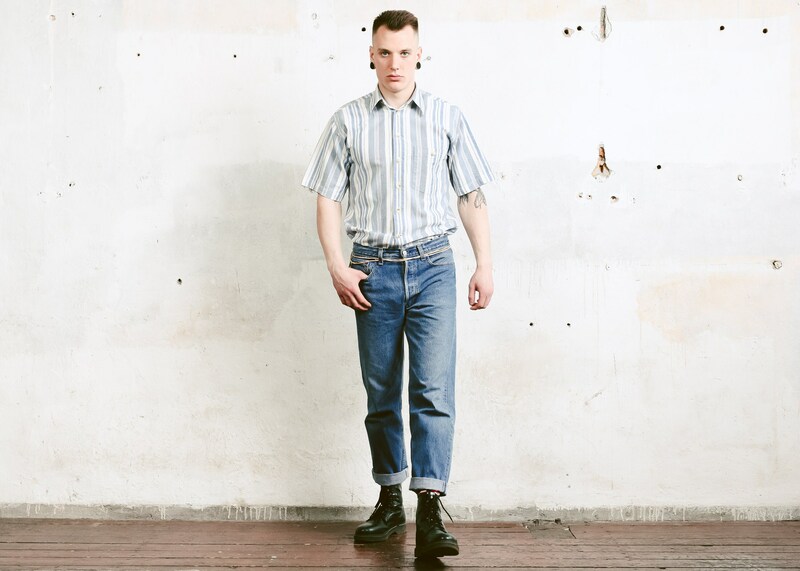 Will look great with your favourite pair of Levi's 501 and pretty much anything else for a peculiar normcore vibe!